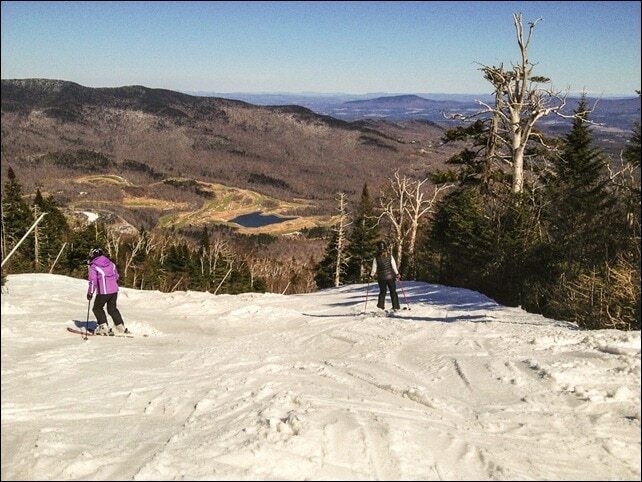 The last day of ski season might not be the best time to blaze new trails, but it was a good time to explore new-to-me Stowe Mountain Resort. 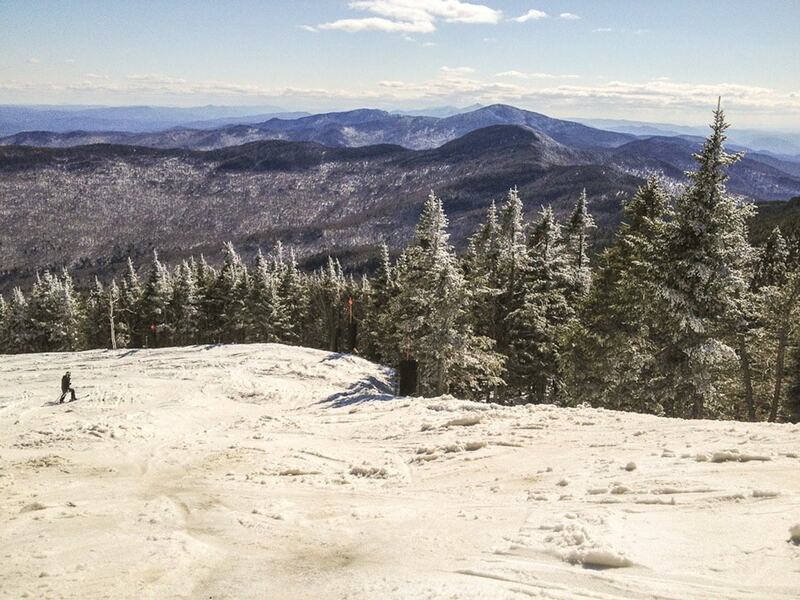 It didn’t take long to realize that I wasn’t up to the challenge of skiing in spring conditions. 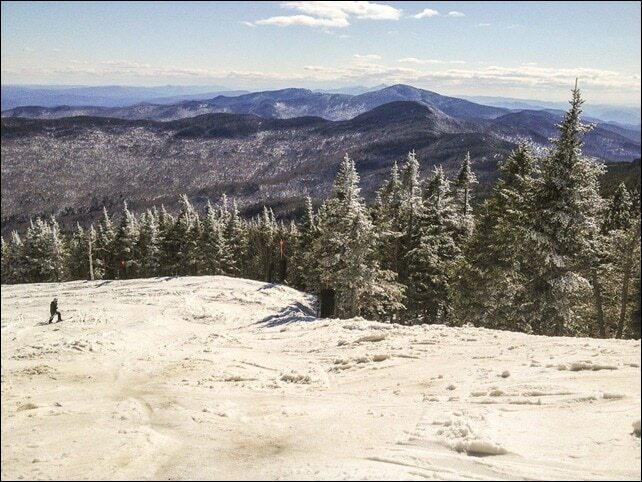 While the ski racers of the family were having a blast, I was terrified to gain speed not knowing when I might run into slush, rocks, or worse. After just one extremely long run from the top of Mount Mansfield, I was ready to call it quits. Plus, there was plenty to do elsewhere on the mountain. 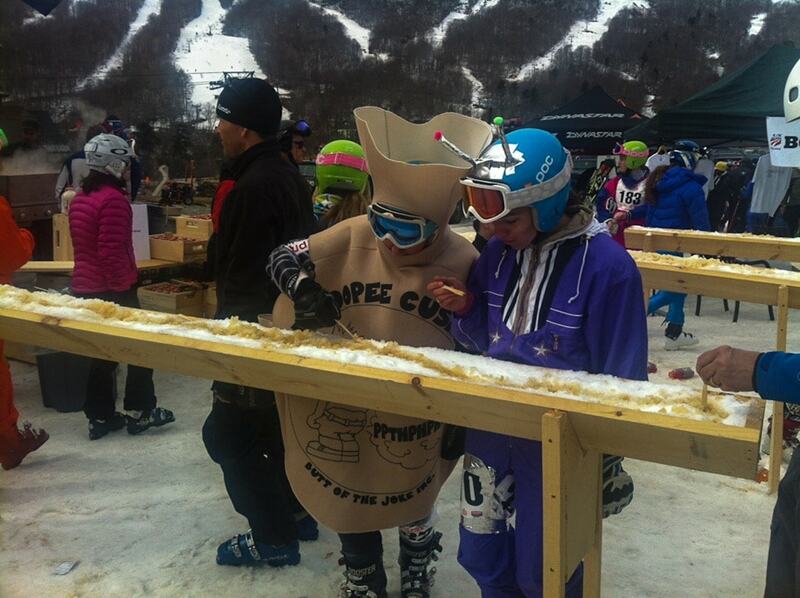 Skiers-in-the-know came in their craziest outfits to send off the season with as much fanfare as possible. 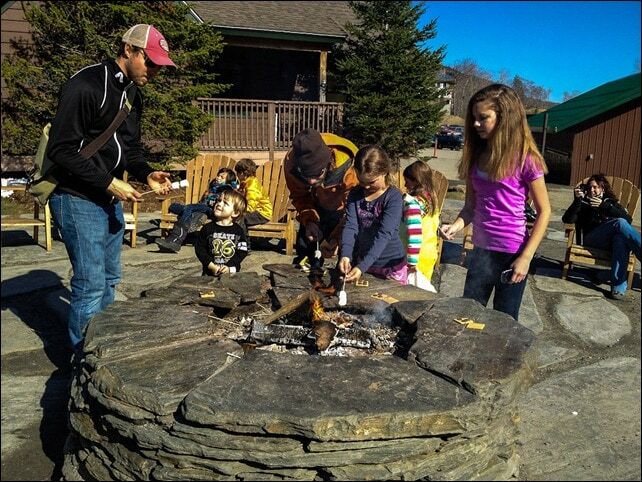 And, because this is Vermont after all, maple syrup was a star attraction. Believe me, there is no graceful way to ladle maple syrup from a bed of snow on troughs – not with tongue depressors. But the kids didn’t care, nor the grown-ups either. Since I was counting points on Weightwatchers, I skipped the maple troughs. But I couldn’t resist the cunningly placed S’mores station. 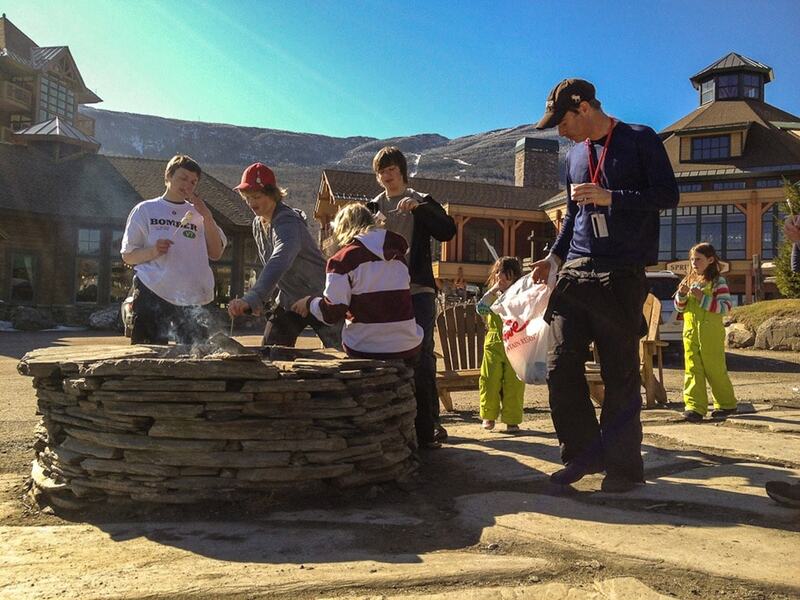 The teen racers practically moved in, helping down any potential surplus of marshmallows. I signed up not even knowing about the compensation, just because the winding mountain road seemed like a fun place to take the luxury car for a whirl. 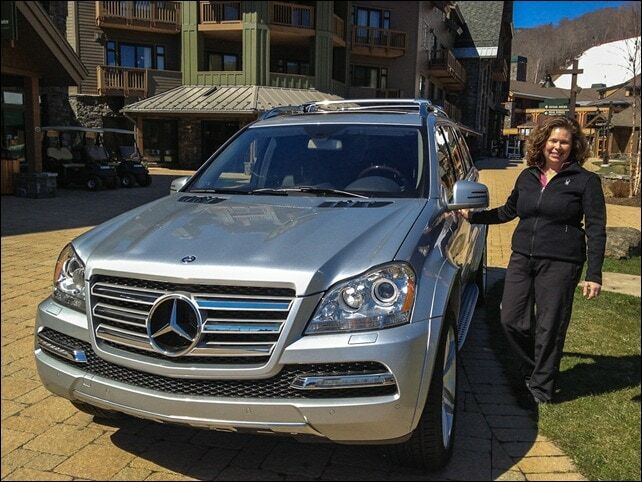 Some friends told me not to bother, that the Mercedes Benz line has been slipping lately. But the GL 350 handled like a dream. Very quiet, very responsive. Maybe a little too smooth and quiet, it was hard to keep under the speed limit. My only quibble is that the gear shift was hard to figure out initially. Once I drove for a few minutes, it came naturally enough. But at first, I couldn’t figure out how to get it into Drive or Reverse. 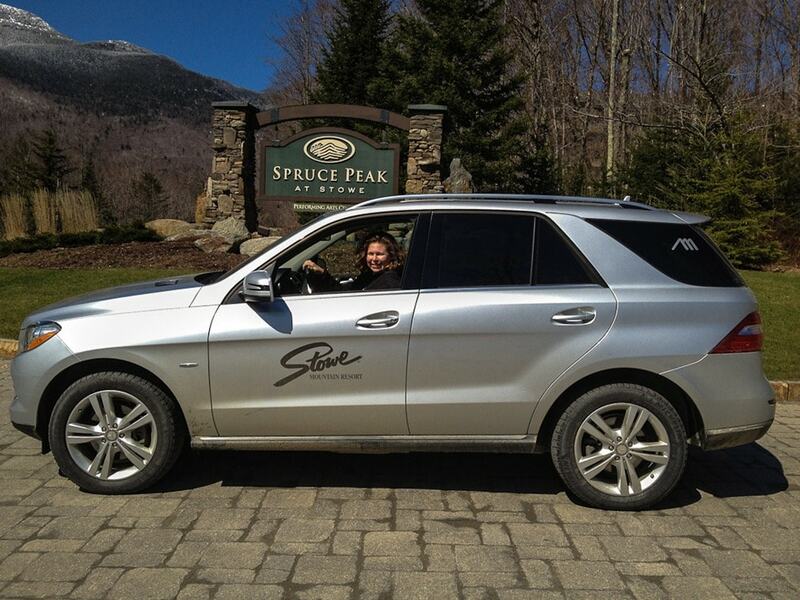 A week later, I received an email from Keeler Motor Car Company in Latham, NY thanking me for spending time with Mercedes Benz at Stowe Mountain, and offering $500 off the next purchase or lease of a new Mercedes-Benz vehicle. Tempting, but I politely declined…for now. 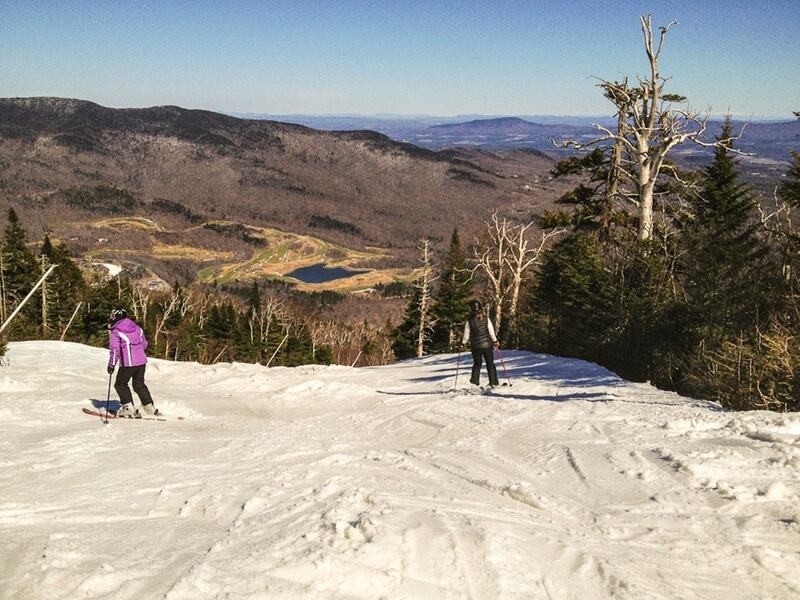 Ski New England: Plan a Road Trip to a Ski Resort! 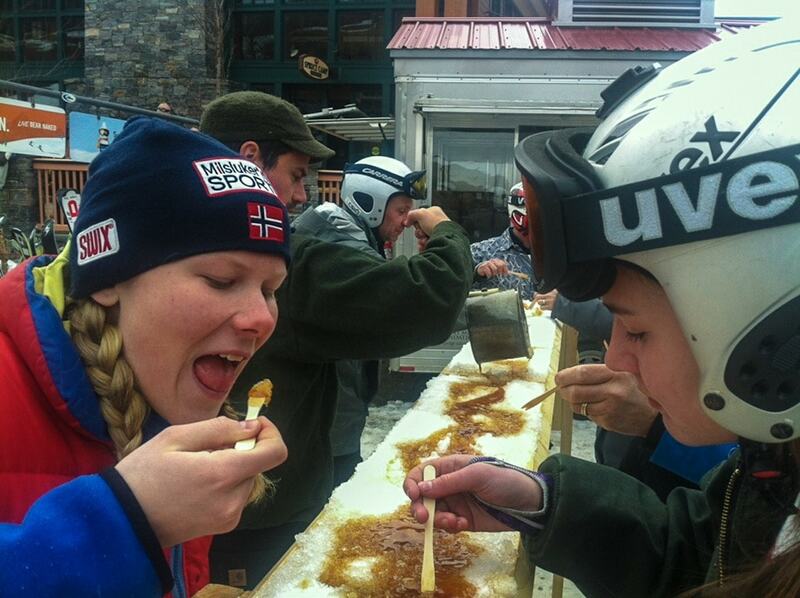 Okemo – A Delicious Ski Adventure!